Meet Hannah Wojno, the passionate director of International Good Deeds Day. 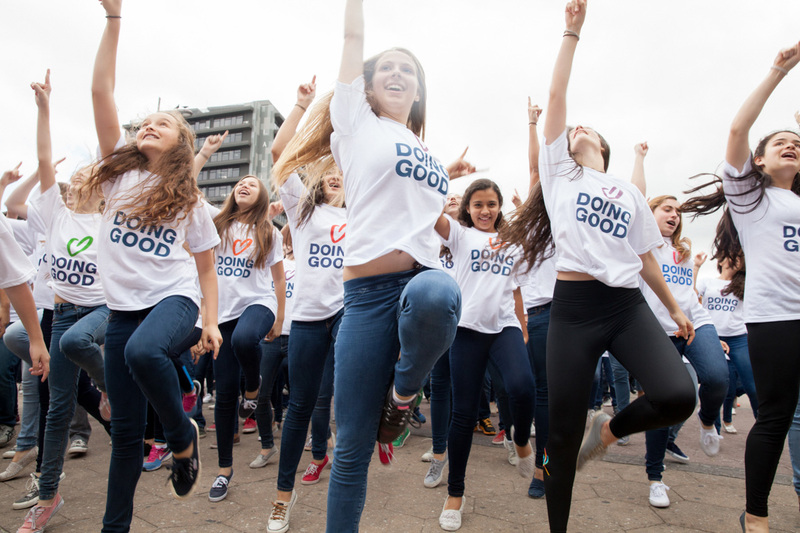 Good Deeds Day is an annual tradition of good deeds – and some 930,000 volunteers took part in projects in 61 countries in 2015. Behind the scenes of it all is Hannah Wojno, the Director of International Good Deeds Day. On this one day of the year, hundreds of thousands of people all over the world get together to help others, putting into practice the simple idea that every single person can do something good to improve the lives of others. For Wojno, every day is Good Deeds Day – as she tells Goodnet in this 10 Good Questionsinterview. She works tirelessly to motivate partner organizations, help coordinate events, plan the next big day (April 2, 2017!) and inspire people year-round to do their part to pump up the volume of good around the world. 1. What is your organization’s mission? Our mission is to connect people from all over the world in “Doing Good.” Our goal is to unite as many people as possible on one day every year – Good Deeds Day – and inspire them to continue doing good all year-round. 2. What makes you guys different from the rest? We are the only service day that unites all cultures, religions and countries in the world. We truly are a unique international initiative – we are completely inclusive and span all borders. We also continue our mission year round because we believe Doing Good should be an everyday occurrence. For us, the work continues every single day, not just on Good Deeds Day – for example supporting fellow service days and organizations. 3. Offices or open work space? A mix of both. Our office rooms are designed to host multiple people to facilitate free collaboration. We also share an office space with our parent organization Ruach Tova, the volunteer center of Israel, which works hard on Good Deeds Day too and uses an open space format for their call center. 4. What three words describe your organization? I’m inspired by people who are determined to make a change in the world and the lives of others – the ones who are undeterred and will stop at nothing. The organizations we work with are making change happen and it is inspirational to play a small role in their greater mission and efforts. 6. What is the best part about your job? 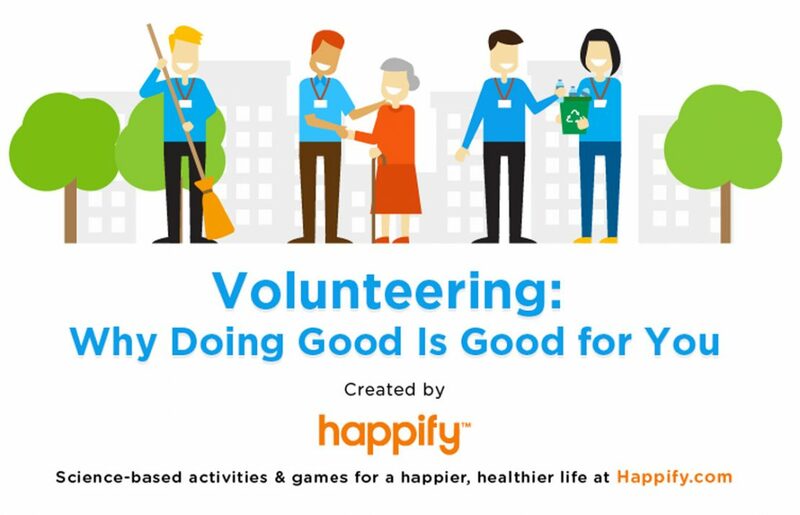 Connecting with people from all over the world on a daily basis and working with them to take part in Good Deeds Day in a way that’s meaningful and impactful for their community. On a single day, I could work with people in Cameroon, England and the USA, and get to hear about their organization and goals while working on their Good Deeds Day participation. It’s inspirational and exciting. 7. Does your team eat lunch together? 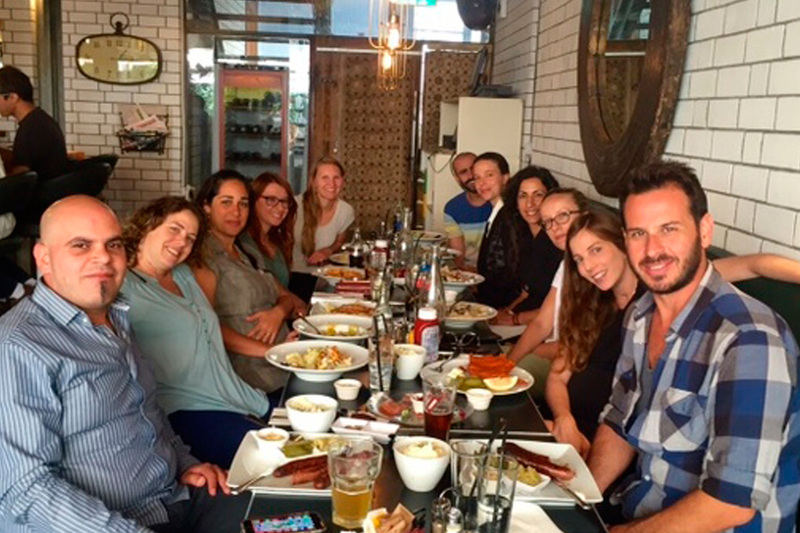 Yes – The Good Deeds Day staff eats lunch together daily. We make a big salad, spreads and toast for everyone and we have been known to share our home-cooked food as well. Our parent organization, Ruach Tova, joins us. It’s definitely family style. 9. What do you want Goodnet users to know about your organization? We’re the largest and most far reaching day of Doing Good in the world! We promote Doing Good all year round and invite every single person to join us in the international pinnacle day on April 2, 2017. 10. How can people get involved? Getting involved is easy – simply save the date, April 2, 2017, and let us know you’ll be taking part. We’d also love to be in touch and help out with project planning – we can be reached at: info@good-deeds-day.org. Our website offers many resources including a Good Deeds Day toolkit, marketing graphics and downloadables, and tons of project ideas from all over the world. This article was originally published on Goodnet and appears here with permission. 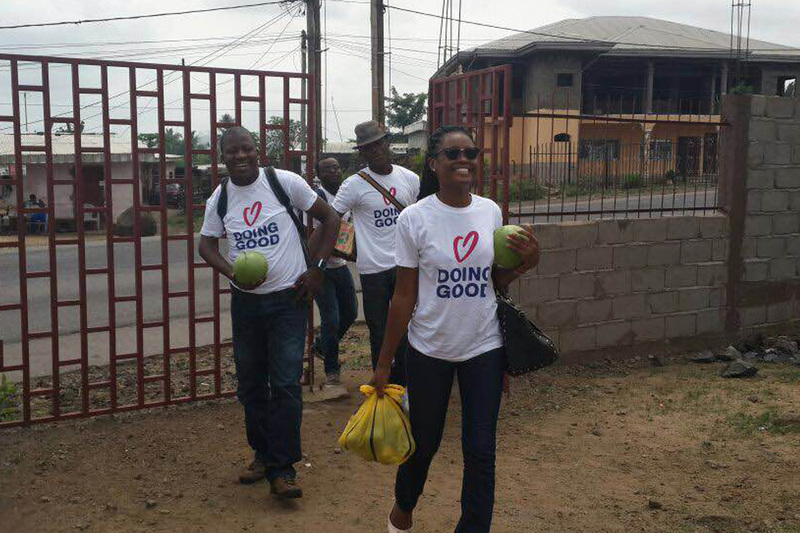 Good Deeds Day is a global movement of doing good. This year, Good Deeds Day will celebrate its 10th anniversary, on April 10th 2016. Want to get involved? Be in touch! Only 1⁄4 of Americans volunteer which means there are a few million people there who may not have heard of the life­altering personal and societal that await those who serve others. All Things Doing Good, Just for you! This space is the newest addition to Good Deeds Day. 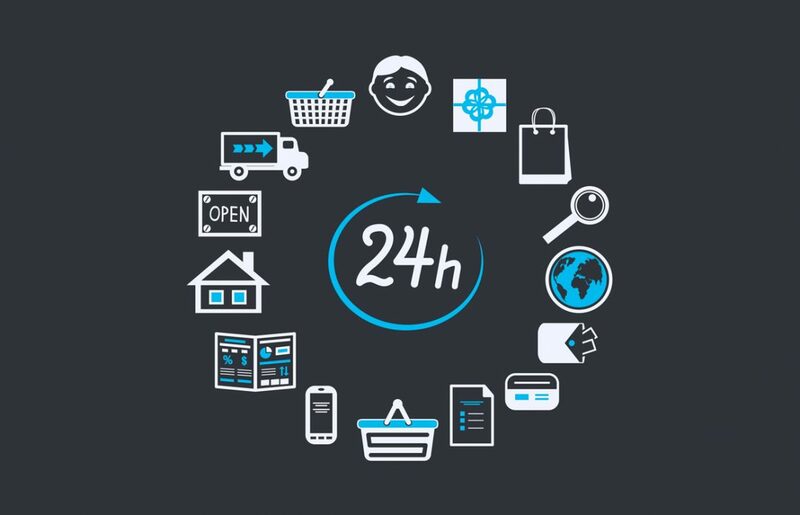 Perform good deeds that are integrated into your daily schedule around the clock.